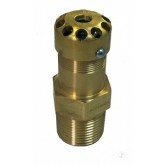 JTC Valve Sales provide a huge variety of gas valves for multiple applications. When dealing with high pressure gases and its distribution systems, trustworthy equipment is a basic necessity for safe work environment. JTC Valve Sales ensures proper safety of their customers by providing best quality products manufactured with utmost care. Pressure relief valves for speciality gas applications are meant for protection of the systems and instruments by releasing unexpected build-up of pressure. Specialty Gas Relief Valves are designed to maintain a specific level of pressure in distribution systems by letting out excess pressure that may get built-up. 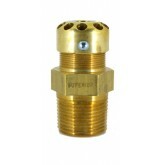 Pressure relief valves aretypically used in laboratories, gas processing plants, and research facilities.